Can I Skate for Change if I don’t skate? Yes! Helping people can look any way you want! Our goal is to be a resource for you so you can help the people in your city the best way possible. That may be riding your bike and handing out kits or volunteering at your local mission. Let us know if you have any questions we can answer about giving back. 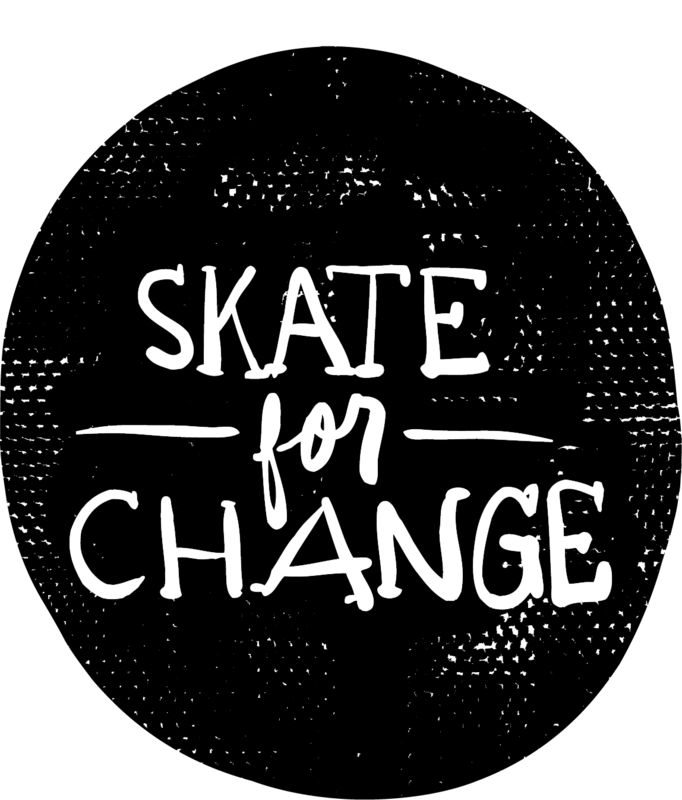 Do I have to be 17 to Skate for Change? You have to be 17 to start a chapter but there is no age requirement for participants! Use your discretion and make sure everyone in your crew is safe, having fun, and is helping others. How do I talk to people on the street? People who are sleeping on the street or are flying a sign on the corner are used to being yelled at, mistreated, or made to feel like a charity case. Do you know what they are not used to from people? – being treated like a human. Don’t over think it! Say “hello” and shake hands. Some easy first questions are: “Have you always lived in (insert city)”, or ” How is your day today?”. “The issue of homelessness is not an easy one to tackle. Since the housing crisis in 2008, homelessness has gone up, especially in larger cities. Due to this, community agencies and street outreach workers have struggled to keep up with the demand which has led to huge waitlists for services that people need. Without them, people lack access to basic needs and important services like shelter, employment, medication management, therapy, healthcare, and treatment for mental health, physical health, and substance use disorders. A combination of these things is often what leads to homelessness so when someone becomes homeless, getting off the streets becomes an even more difficult task. To make things worse, the lack of these resources may lead to loss of transportation or access to their income source; extending homelessness even longer. In addition, common stereotypes that homelessness is caused by the individual and that they should just quit drinking or “pull themselves up by their bootstraps” make for a constant uphill battle for agencies trying to end homelessness. There is some hope though. Communities across the country are getting together to explore options and come up with strategies like the Housing First model. The goal of this is to get someone experiencing homelessness off of the streets as quickly as possible and once housed, focus on other needs which were mentioned before. Although this often takes months, and even years in some cases, communities have seen success by getting people housed quickly so they have the stability to be able to focus on their other needs.